At CAM Testing and Electrical Services, we are highly experienced in Portable Appliance Testing (PAT Testing). We supply testing for a wide range of businesses in Essex and London, including Schools, Offices, Factory’s and many other business types. Portable Appliance Testing (PAT) is the process by which electrical appliances are routinely checked to make sure that they meet safety standards. Health and Safety Regulations stipulate that all appliances must be tested at regular intervals to ensure that they remain safe. Both the type of appliance and the environment it is used in will denote how often a test should take place. 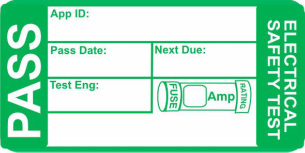 The Health and Safety at Work Act (1984) requires employers to be responsible for these checks, taking into account all electrical equipment and tools. To assist companies in complying with this legislation there have been several industry managed tests created. Our engineers have been trained to industry standard and are able to apply these tests; ensuring safety for your team and your business.